Neil Toeppe spoke to Swanton Village Council last Monday on the possibility of bringing railroad related history to Chestnut Street. The Village of Swanton motto is “Honoring the past, committed to the future.” Neil Toeppe, Swanton Chamber of Commerce and Swanton, Ohio Historical Society president is working to put that motto into practice. Toeppe recently spoke to Swanton Village Council about the historical society and the possibility of bringing railroad related history to Chestnut Street in Swanton. 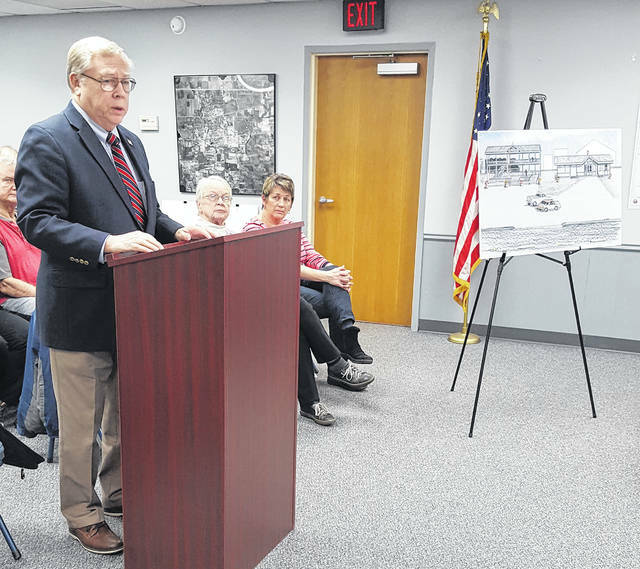 “The Village of Swanton’s motto is’ Honoring the past, committed to the future.’ And I stand before you to talk about that motto and how we can bring meaning to it,” Toeppe said. He discussed the possibility of relocating the Brailey Depot and an A.D. Baker steam engine to Swanton, and also constructing a viewing platform on village owned land on Chestnut Street along the railroad tracks. He suggested that could increase foot traffic on Main Street and, in turn, increase business on Main Street. He said Swanton has a compelling story to tell. The Historical Society has already identified grant application opportunities, and some significant private donors for the proposed project. Council decided to have a resolution written for the next council meeting on Jan. 28 that outlines what the village’s commitment to the project may be.